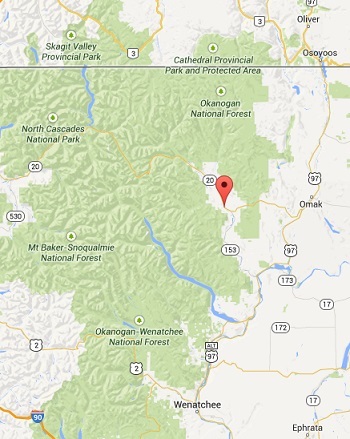 The town of Twisp is fewer than fifty miles south of the Canadian border. It spans an entire 1.18 square miles and has a population of 900 living in the surrounding National Forest area. Located in Washington’s Okanogan County, Twisp is surrounded by the Cascade Mountains, the joining of the Twisp and Methow rivers, and over a million acres of federally-protected forests. There is a history of hard-working people who respect the land, and respect the industries that thrive on it – particularly the Forest Service. Twisp is the original Old West town of Washington, and its past is paving the way for a future built on community and creativity. The site of the former Twisp Forest Service headquarters building recognizes its historical importance to the Methow Valley. Henry C. Glover settled Twisp (originally called Gloversville) in 1897, only nine years after Washington became the 42nd state. The name comes from a modified translation of the Okanagan Native American word twistsp, which is the sound of a buzzing wasp. The byproduct of two small gold mining booms in 1858 and 1880, Twisp became largely dependent on mining, farming, and logging. As people began to migrate into the Methow Valley, Twisp was able to establish a small flour mill and a dairy. “We didn’t have any dams yet, so there was a lot of salmon in the rivers,” a local remembers. Truly a wilderness paradise. Twisp is surrounded on all sides by National Forests. Much of the infrastructure that enabled Twisp industry to prosper – primarily roads, bridges, trails and phone lines – were the result of the Great Depression. President Franklin D. Roosevelt started the Civilian Conservation Corps, a public works group that brought unemployed young men out West and employ them for the greater good. 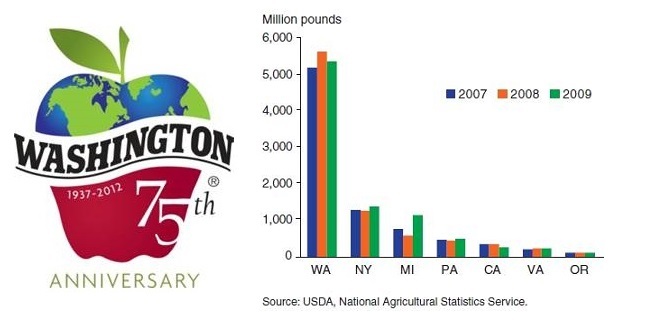 Even today, Washington is the primary supplier of apples in the United States. A US Forest Service map shows just how extensively forested the state of Washington is. There was a progressive program in place to attract women and minorities to the Twisp Forest Service, particularly within the science fields. 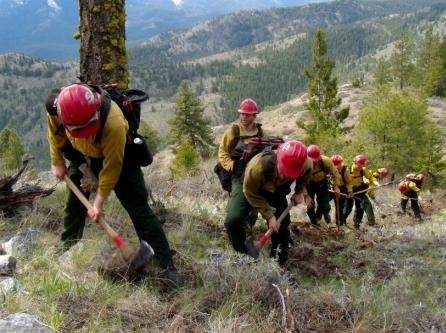 This wasn’t difficult because many of the responsibilities of the Forest Rangers included looking at wildlife distribution, observing natural habitats and patters, and spending much of the time outdoors in the Cascade Mountains. There was also a summer program that introduced high school students to the Forest Service. This entry was posted in Expanding the Scope of Now, Interview and tagged agriculture, Civilian Conservation Corp, history, logging, Methow Valley, Okanogan County, Twisp, US Forest Service, Washington State. Bookmark the permalink.